- Choose Size - 1/2 in. x 10 yds. 1/2 in. x 50 yds. *50-yard length 3/4 in. x 10 yds. 1 in. x 6 ft. *strips 1 in. x 10 yds. 1 in. x 10 yds. **full width cut 1 in. x 50 yds. *50-yard length 1-1/2 in. x 10 yds. 1-1/2 in. x 10 yds. 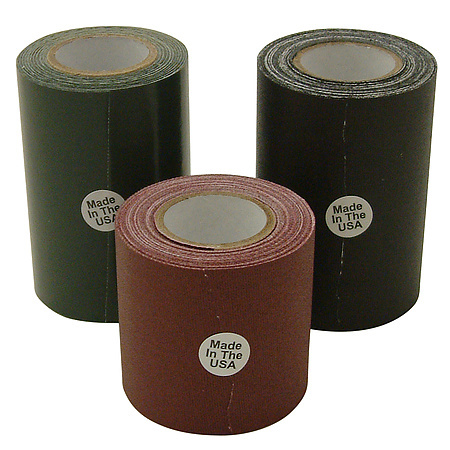 **full width cut 1-1/2 in. x 50 yds. 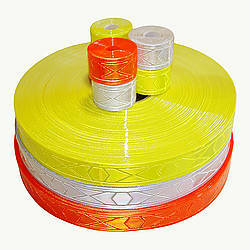 **full-width cut 50-yard length 1-3/4 in. x 10 yds. 2 in. x 6 ft. *strips 2 in. x 10 yds. 2 in. x 10 yds. 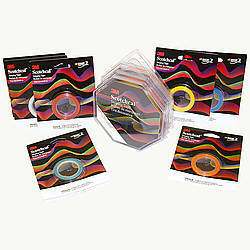 **full width cut 2 in. x 50 yds. *50-yard length 2-1/2 in. x 10 yds. 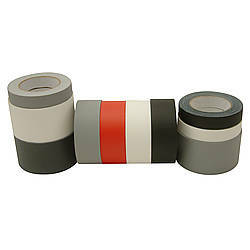 **full width cut 3 in. x 10 yds. 3 in. x 50 yds. *50-yard length 4 in. x 10 yds. 4 in. x 10 yds. 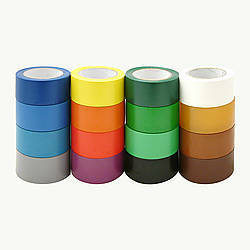 **full width cut 5 in. x 10 yds. 6 in. x 10 yds. 6 in. x 10 yds. **full width cut 6 in. x 50 yds. *50-yard length 8 in. x 10 yds. 8 in. x 10 yds. 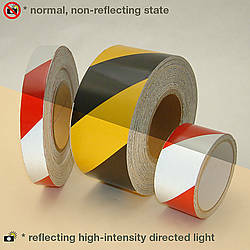 **full width cut 10 in. x 10 yds. 12 in. x 10 yds. 20 in. x 10 yds. Purchased Most Frequently: 4 in. 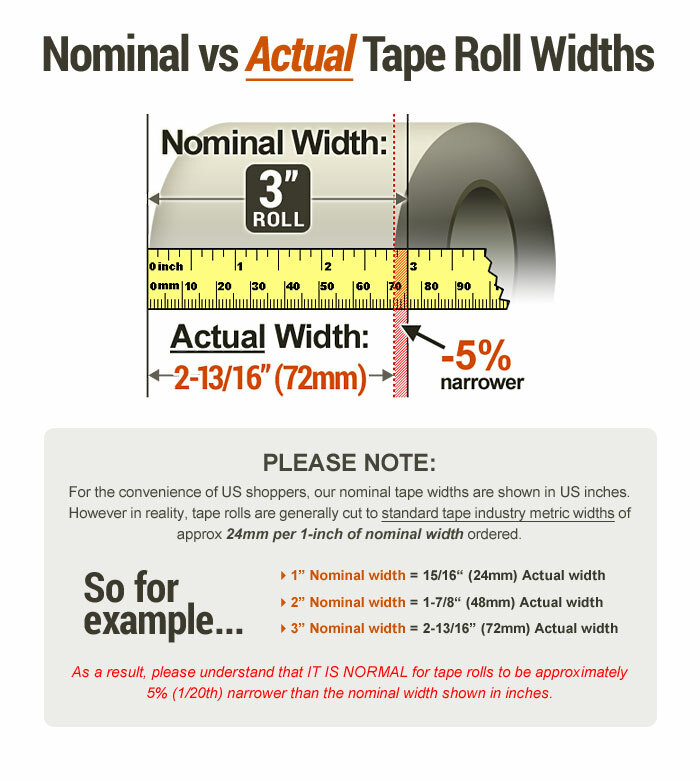 x 30 ft. (Red) | See Pricing Table below for additional options. 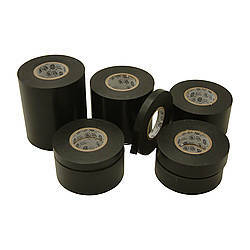 50-yard rolls of this tape can be special ordered so please use our Contact Us page to inquire about minimum order requirements and pricing for these longer length rolls. 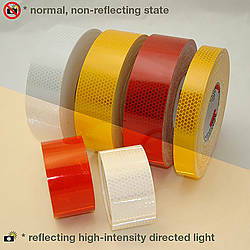 JVCC REF-7 Engineering Grade Reflective Tape is used for safety applications as well as entertainment industry use as spike tape or "daytime" glow tape. 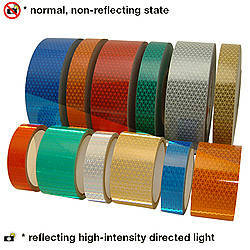 Reflective Tape is primarily designed for permanent and temporary traffic signage and features an enclosed lens retroreflective urethane film coated with a permanent acrylic adhesive. Application surface should be flat (not curved or tubular). Also it is not designed to adhere to unpainted stainless steel surfaces. JVCC REF-7 may be screen printed, guillotine cut, die-cut, or thermal kiss-cut. 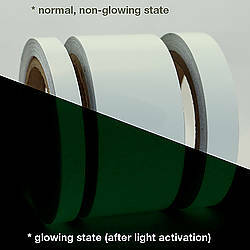 The adhesive has a dwell time of 24 hours, but reaches 75% of its adhesiveness after 15 minutes. 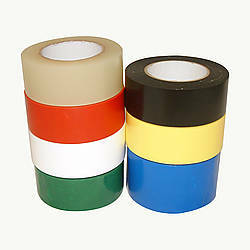 Comes on a 3 inch diameter neutral paper core and has a paper release liner. 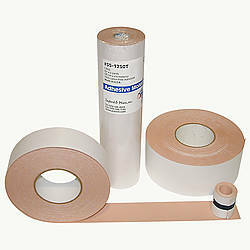 Meets or exceeds requirements of federal specification LS-300C, FP-85, and ASTM D4956-94. Has a 7 year durability. Photos of REF-7 are taken with a flash camera in order to show the reflectivity of the tape; the colors of the tape will be much darker if a high intensity light source (like the flash from a camera or car headlights) are not being directed at the tape. 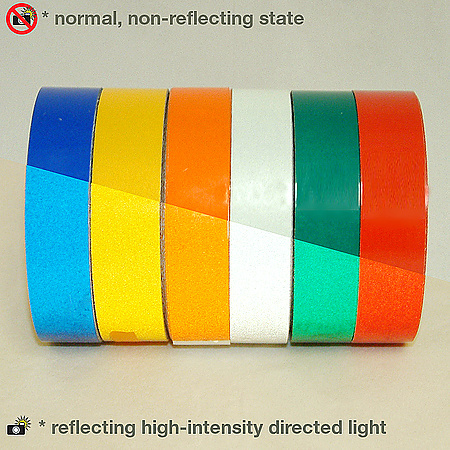 The colors in order of reflectivity are: white, yellow, orange, green, red, blue (white is around 15 times more reflective than blue). 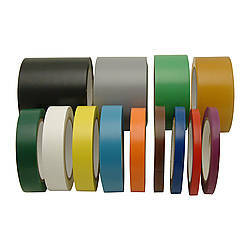 Thickness: 12.8 mils (carrier, adhesive, liner) 6 mils (carrier, adhesive) 6.8 mils (liner) What is mil thickness? 1-1/2 in. x 10 yds. 5 in. x 10 yds. 6 in. x 10 yds. 8 in. x 10 yds. 10 in. x 10 yds. 12 in. x 10 yds. 20 in. x 10 yds. 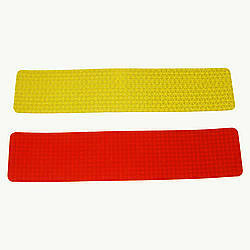 Actual Size: 24mm x 6 ft.
1-3/4 in. x 10 yds. Actual Size: 48mm x 6 ft.